What Inspires You? See what inspires these Etsians! January 20th is Dr. Martin Luther King Jr. Day in the United States, where we remember and celebrate his legacy. Dr. King had a dream for the future and a vision for a country that would be unified and not racially divided. Thanks to MLK, my dreams are much more selfish and much closer to home. I started working on a set of digital papers with inspirational quotes and phrases and I finished two of them and they just sat on my desk top mocking me. 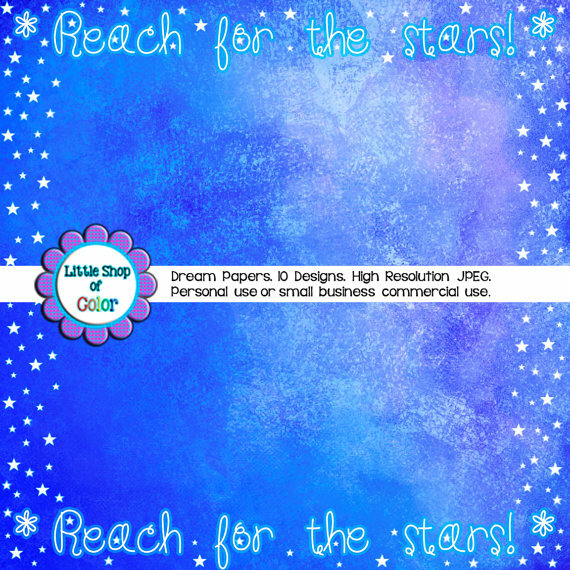 I finally decided that these two papers would be freebies to celebrate the new year and to inspire others to “dream big”, “never give up”, etc. Eventually, I was able to come up with a whole set of papers to post in my store. The thing that inspires me to create has a lot to do with colors or textures that I come across. Nature, such as trees and birds chirping and green grass all inspire me to create new things and give me peace to continue on my path. See this pretty and inspirational papers below. Several other sellers on the Etsy Christmas in July team would like to share their inspirations with you. Inspiration comes from many places and in many forms. Please check out these wonderful shops and their items. Elisabeth from JHFWBeadsAndFindings says that she gets inspired when “Someone likes what I make.” When something sells she makes another using the same colors or changing it up a bit! 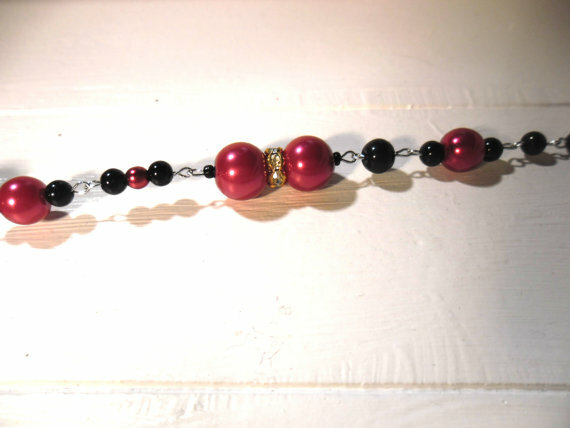 Just look at her Red Vintage Inspired Necklace. Laura from VintagePlusCrafts likes to make people smile. 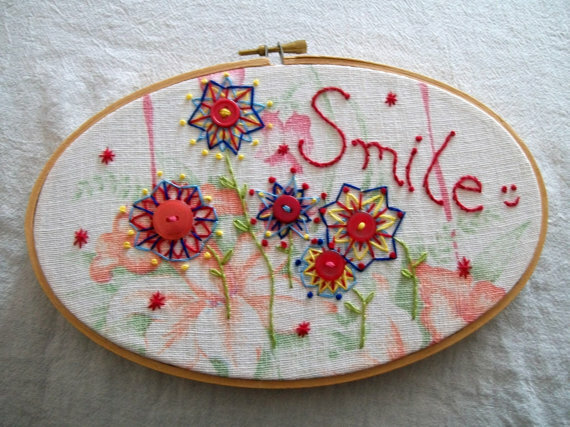 She does her hand embroidery and finishes it off with an encouraging or inspirational word such as smile. See her pretty embroidery on her Springtime Flowers Hoop Art. Erika from littlebigtopstudio was inspired by the book Sadako and the Thousand Paper Cranes as well as her own daughter who is currently undergoing treatment for leukemia. This is the story of a Japanese girl who was two years old when she was exposed to radiation from the atomic bombing of Hiroshima during World War II. As a result she is diagnosed with leukemia and, at age 12 after spending a significant amount of time in a nursing home, began making origami cranes with the goal of making one thousand, inspired by the Senbazuru legend. The school where I teach folded 1,000 paper cranes in support of my daughter and as a way to raise awareness for childhood cancer. Ever since we completed that project I have been fascinated with the crane as a symbol of health, hope, and peace. 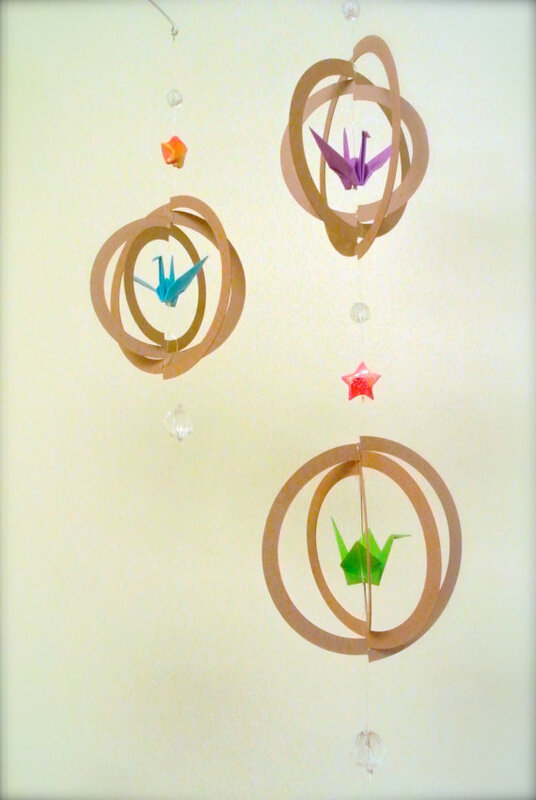 Please see Erika’s beautifully inspired Baby Mobile Origami Cranes. Jeanne from CedarWoodCreations was inspired by friendship when making this current item. While on FB I saw a picture of a friend taken in childhood and memories came flooding back of our time together. It was right around the time I found the charms shown in this pic. That’s what prompted me to make two rock cairns and sell them as a set ~ Keep one and give the other to a friend…Check out her beautiful Pinky Swear Pinky Promise Rock Cairn Minis. Jennifer Loftfield from CaffeinatedPapercuts finds her inspiration by “stopping to smell the roses” so to speak. She says, “So many things inspire me, usually when I’m not looking for it; a stamp, a piece of pretty paper, nature, a color…I’ve learned to stop and look at things twice to see how it affects me. 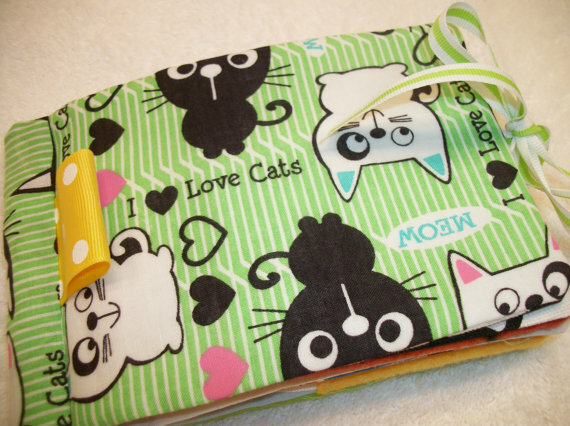 One piece that was a nk-brainer was this adorable owl paper. 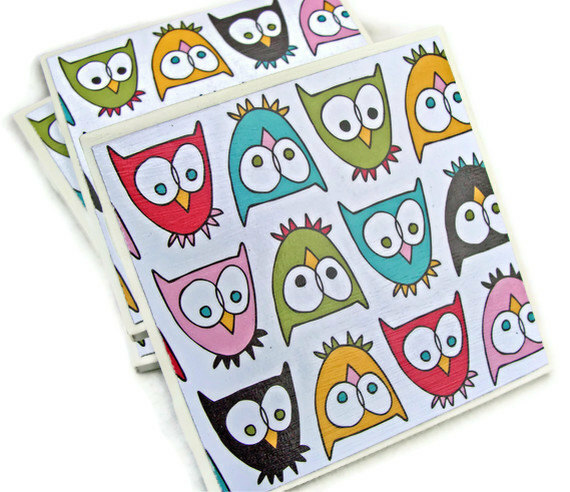 I *knew* I had to get it, but it took a while to decide what to do with it!” Check out her beautiful Fun and Funky Owls Handmade Tile Coasters. Evelyn and Lucy from artsyEVE gets her inspiration from nature. She says, “I love color–color from rainbows, fresh grass, shadows in the snow, leaves and flowers–you name it–beautiful colors from all around us…and that inspiration leads me to create colorful items for everyone to enjoy!” See her cute Soft Baby Book, Baby’s First Book. Betty Travell from LadySnooks is inspired by a creature right where she lives. She says, “Deep in the waters of the Chesapeake Bay running right up the middle of the little state of Maryland, lives a creature that is known as the king of all shell fish. This creature is the Chesapeake Bay Blue Crab. If you live in Maryland, you know what I mean. They are eaten with a mallet and “picked” down to the last morsel. Their delicious meat sometimes appears as a “Maryland Crab Cake” which is fantastic too. A big cold glass of beer is usually close at hand. 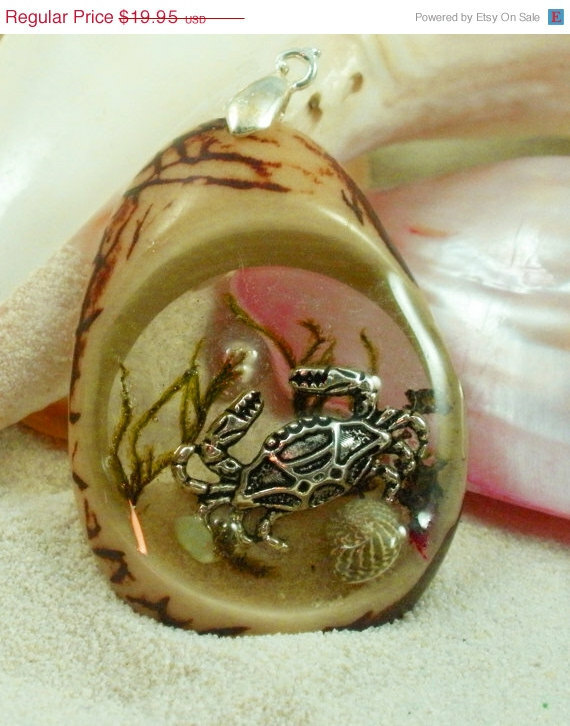 Living most of my life in Maryland, this was one inspiration that was easy to connect with the under-water Tagua Nut Resin pendants that I make. The inspiration was right there for me.” Be sure to check out her Tagua Nut Chesapeake Blue Crab Under the Sea 3D Pendant. 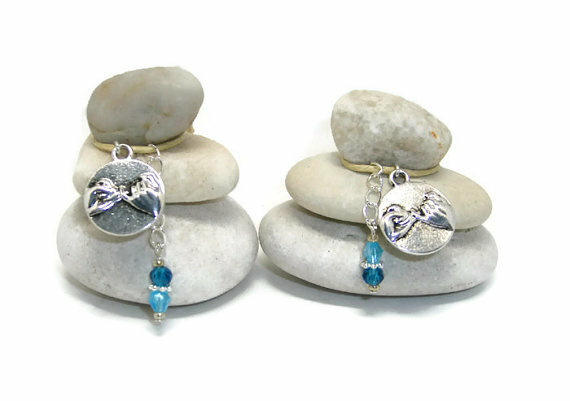 Amy Spock from BeadsandThreadsbyAmy is inspired by nature as well. She says, “The most inspiring thing to me is Nature. I have always been fascinated by the living world around us. I owe that to my grandmother, I think. My first summer trip to her house by myself was full of wonder. We caught tadpoles in the creek near her house, and watched them develop into frogs. We brought caterpillars in and watched them morph into beautiful..well…moths, but they were still beautiful. 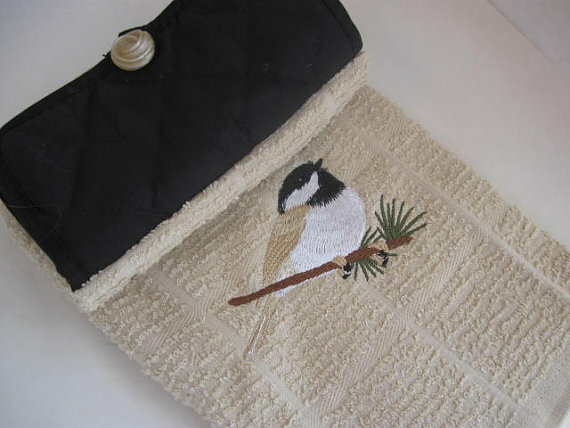 In much of my work, you will see colors, textures, and patterns inspired by walks in the woods…” Be sure to check out her Embroidered Tan and Black Chickadee Bird Hanging Cotton Kitchen Towel.